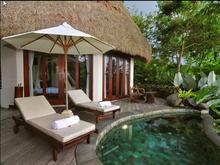 View and book from over 40 villas from 491 AUD per night. Book with peace of mind with our Price Guarantee and local customer support. TheVilla is a cost effective holiday option for families with children or a romantic sanctuary for couples and honeymooners. 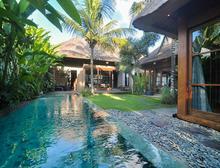 The villa is a 2 bedroom private pool. 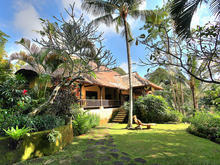 This 2 bedroom villa is a very peaceful place of which you will be very happy to discover. 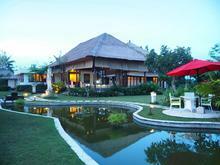 This villa is indeed the realization of a dream, the magical place. This traditional Balinese bungalow 9km north of Ubud is nestled amidst soaring coconut trees and sprawling rice fields, making it the quintessential rural refuge. See Ubud through the eyes of those who helped make it a glamorous sanctuary for entrepreneurs, writers, cyclists, seekers, trekkers, and yogis. The four bedrooms of Luwak Ubud Villas embarks an elegant concept of the combination 2 units of 2 bedrooms villa (garden and valley) with double swimming pool. 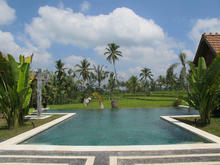 This villa is situated on the Sayan Ridge on the outskirts of Ubud, one hour’s drive from Denpasar's 'Ngurah Rai' international airport, 40 minutes from the coast. This villas is a unique boutique eco-resort with its own secluded valley below the village of Majangan, about 40 minutes from Ubud, Bali's famous art and culture center. 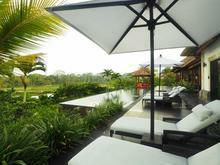 Is an eco-friendly retreat set within an organic garden and encompassed by productive rice terraces. This inspiring property captures the gentle spirit of a village.